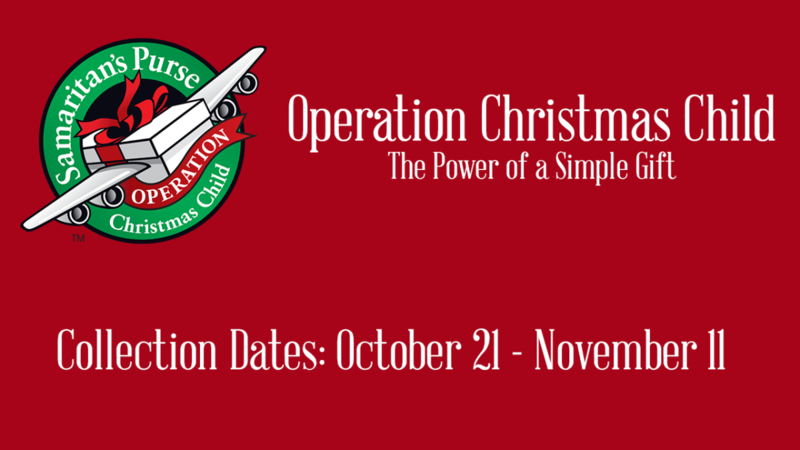 Donate items for the shoe boxes: small toys, hygiene items(no toothpaste), school supplies, clothing items, and other small items that a child would enjoy. Take an empty box and fill it with appropriate items. Attend the packing party(Nov. 7th) and help fill boxes with the donated items.